lli.sg at Website Informer. Home. Visit Lli. 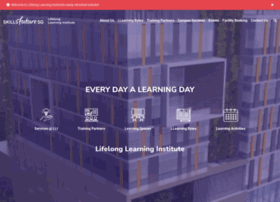 Located at the commercial heart of Paya Lebar Central, LLI inspires lifelong learning and serves as a gateway to learning opportunities.